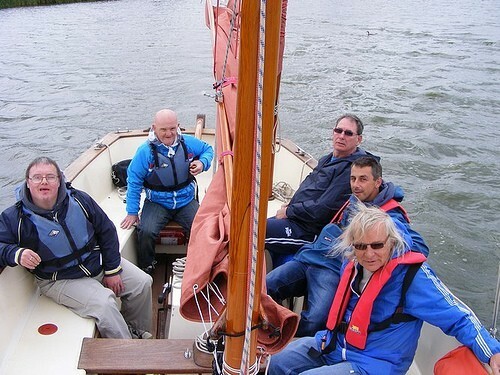 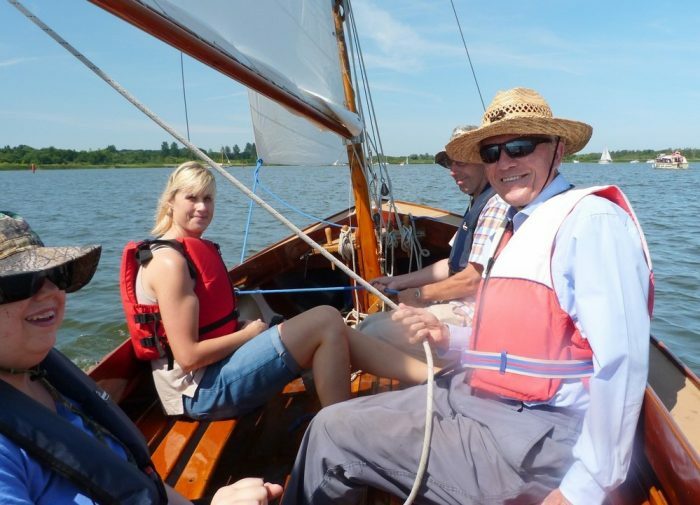 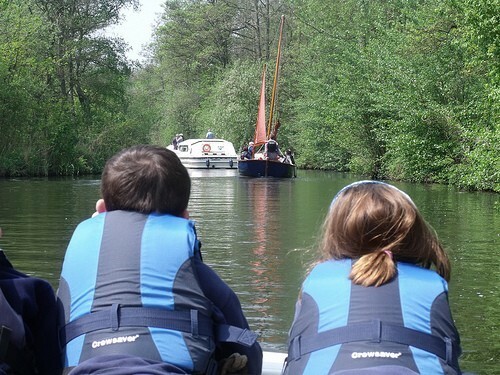 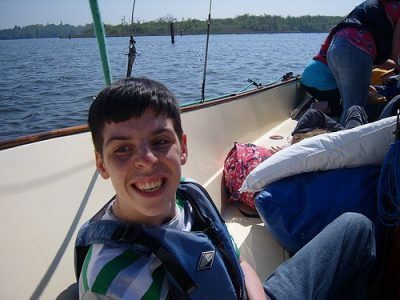 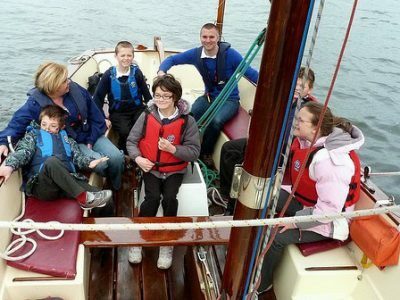 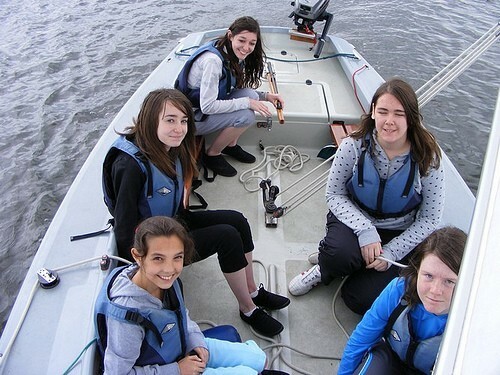 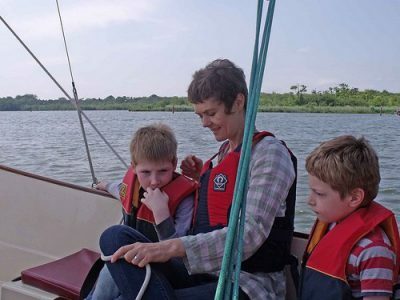 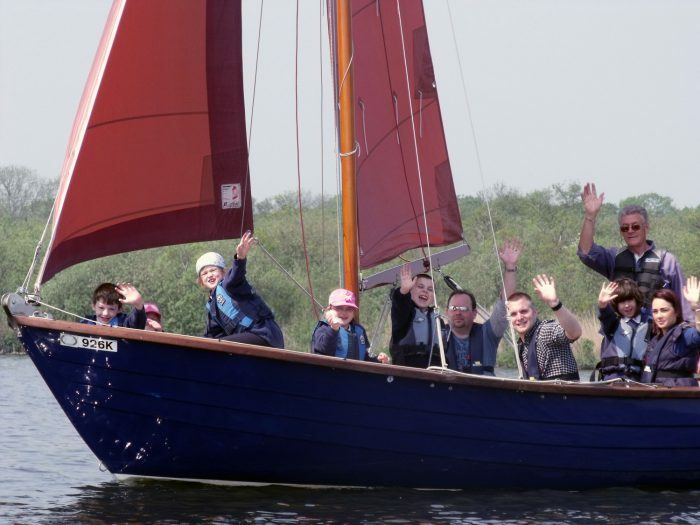 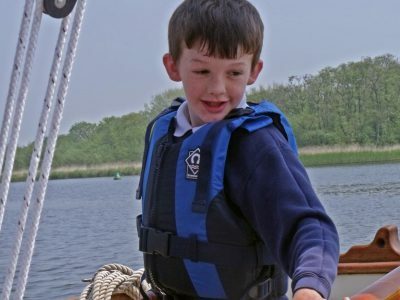 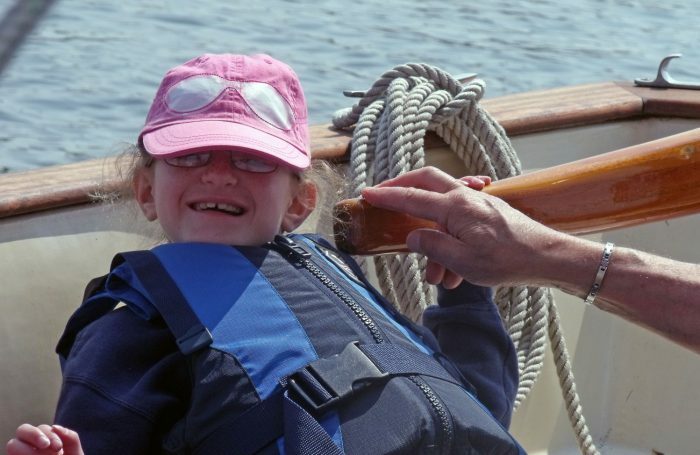 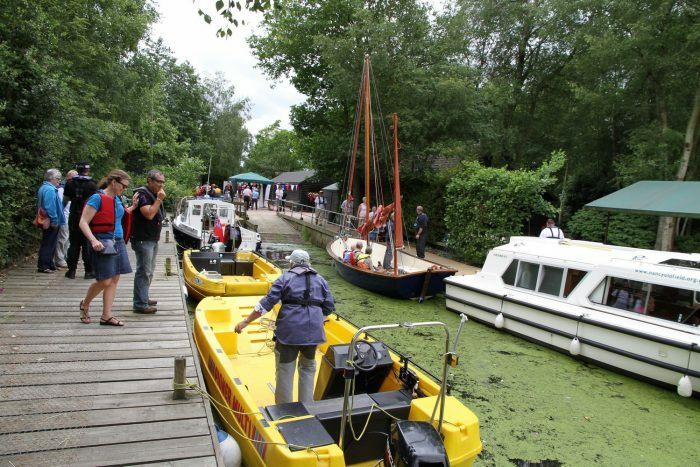 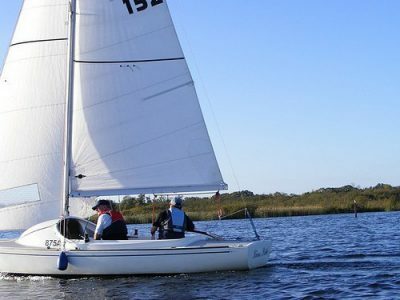 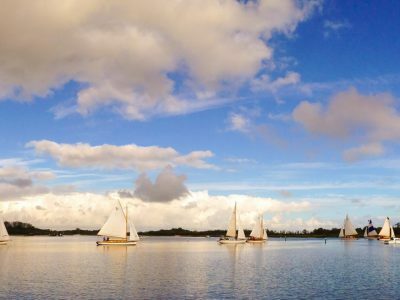 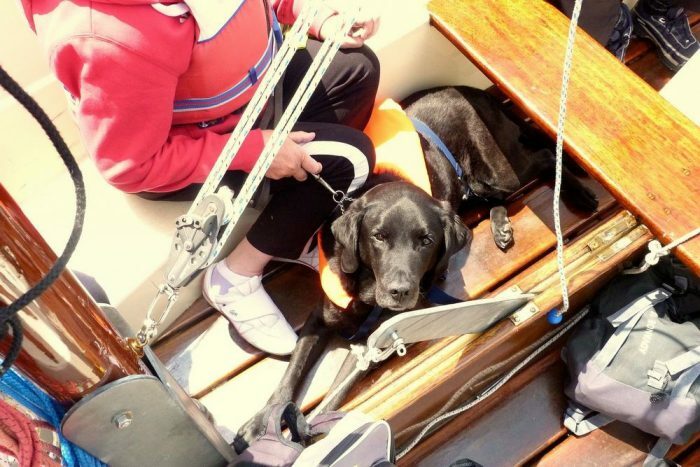 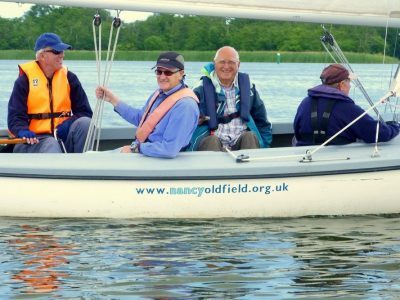 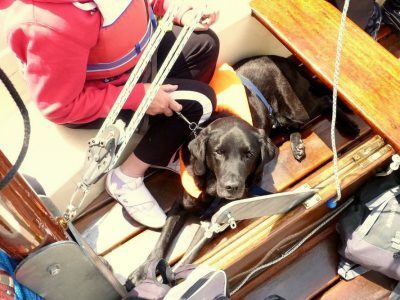 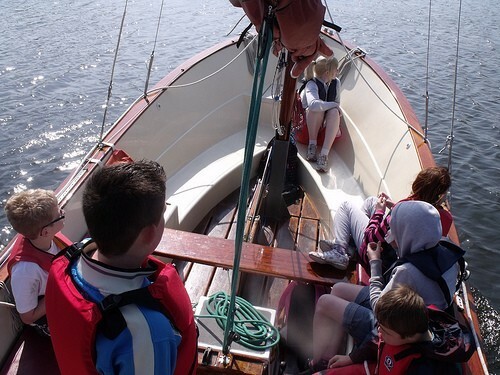 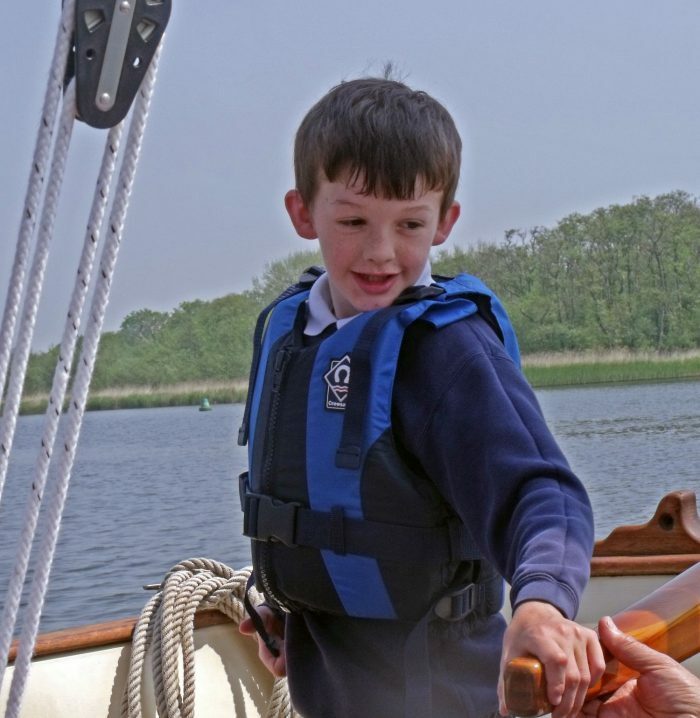 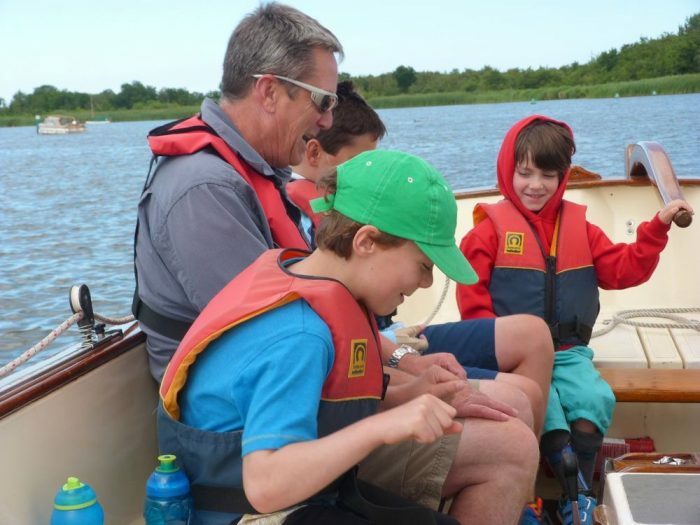 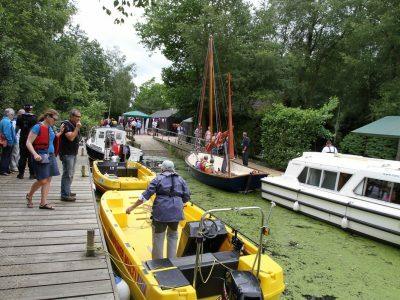 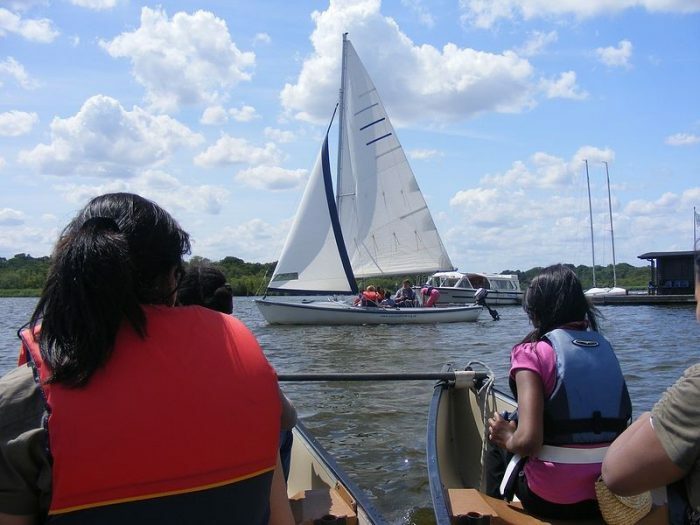 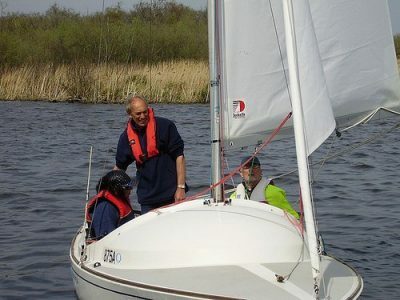 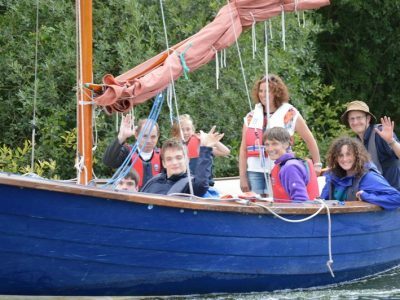 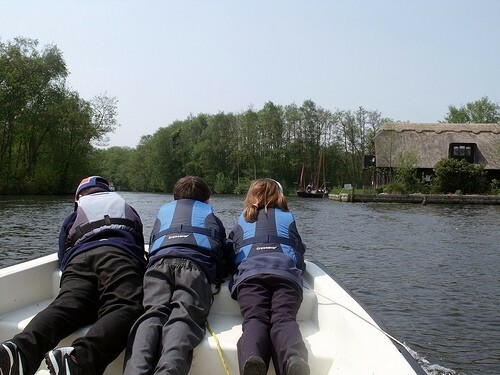 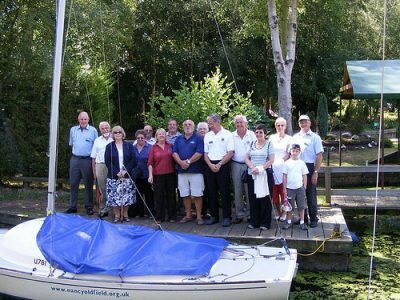 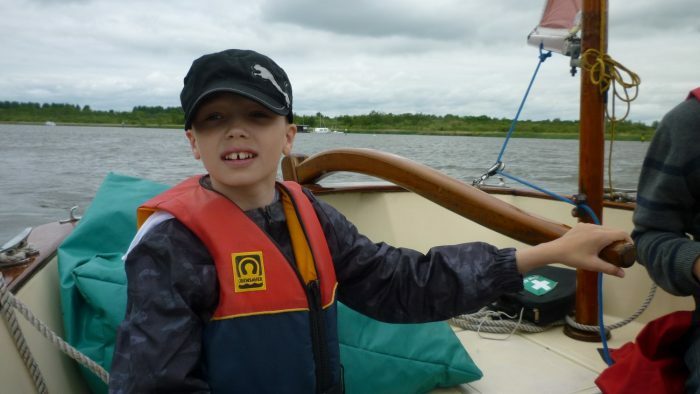 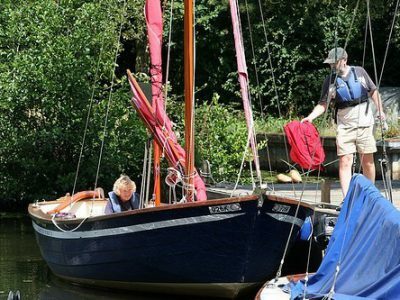 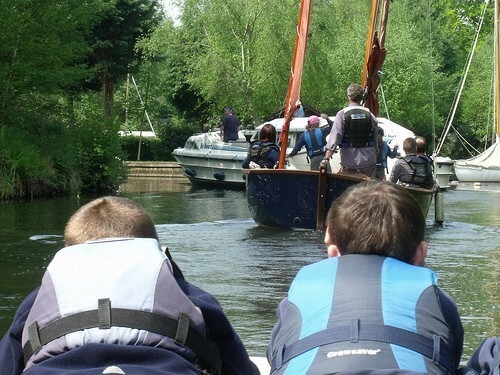 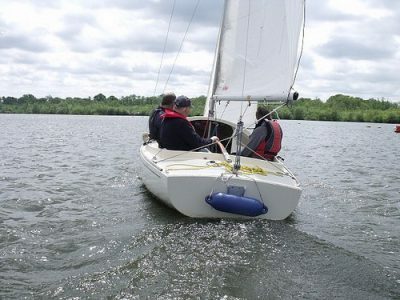 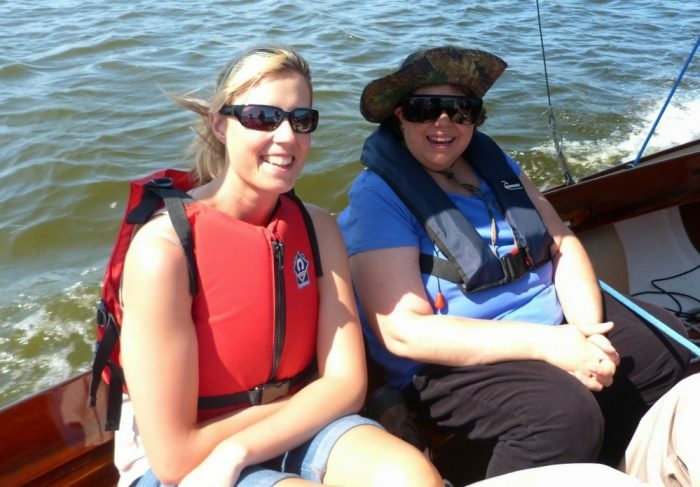 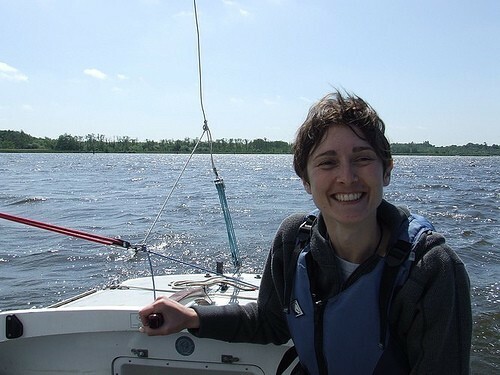 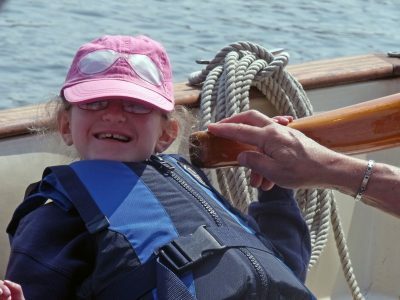 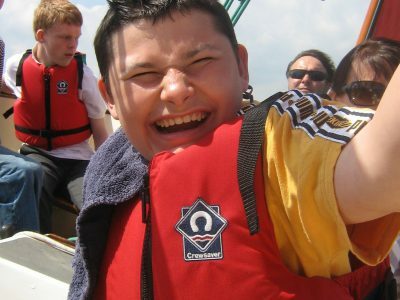 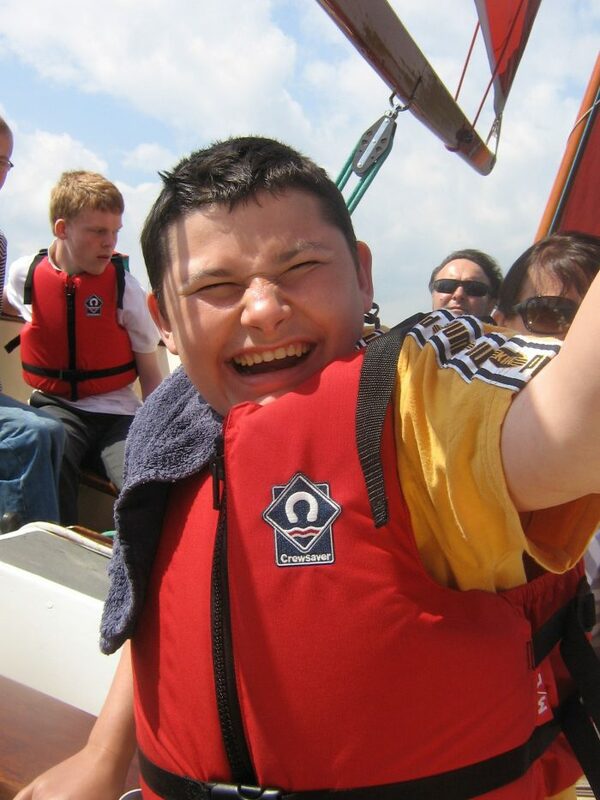 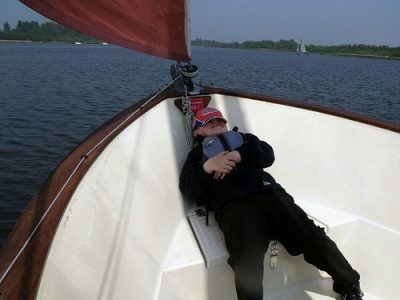 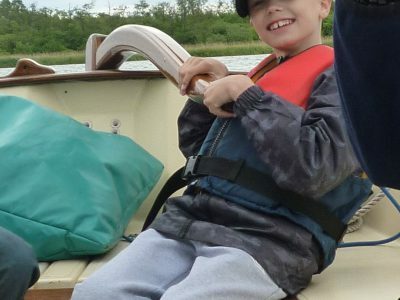 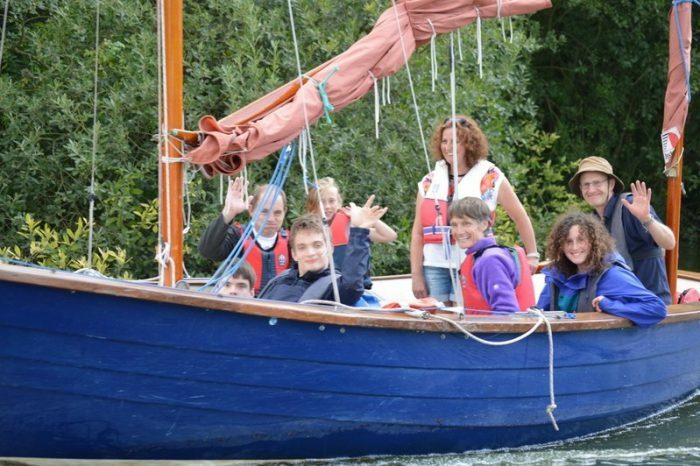 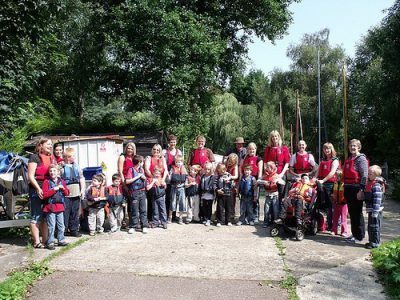 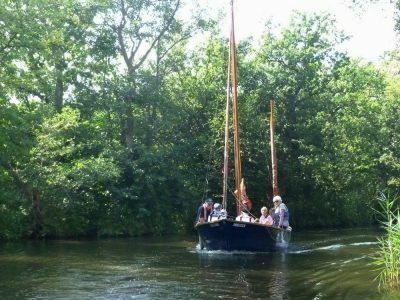 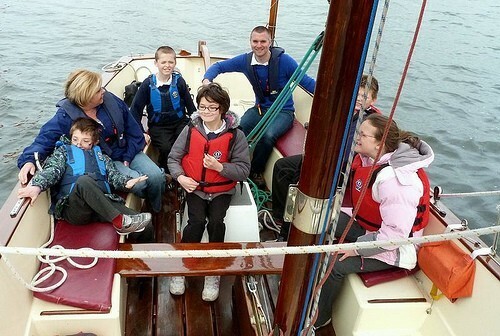 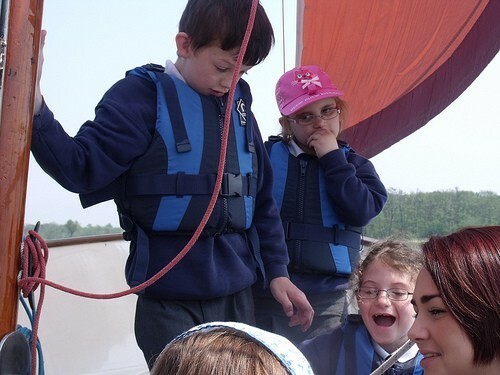 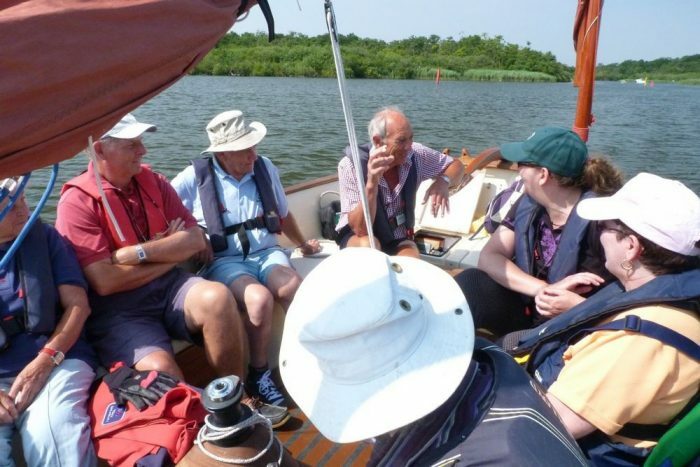 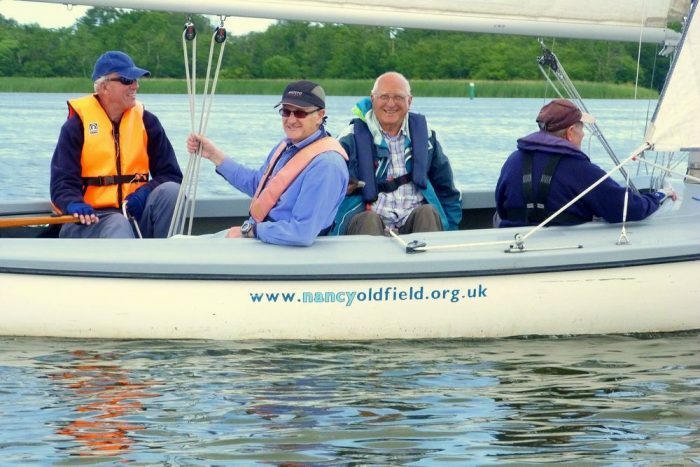 You can learn to sail, gain an RYA qualification, or you can just sit back and watch the scenery while our volunteer instructors sail the boats for you! 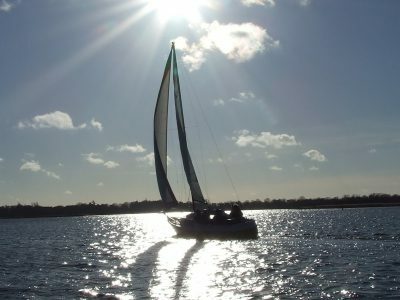 You can do as much or as little as you wish! 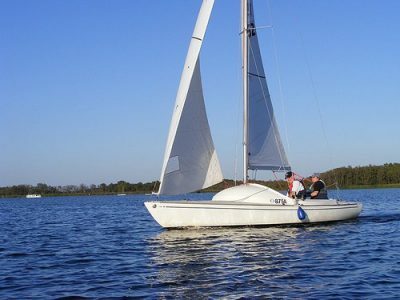 For an introduction to sailing, our two stable and roomy Falmouth Bass Boats take up to 10 people, and in addition to the sail have a quiet and pollution-free electric motor . 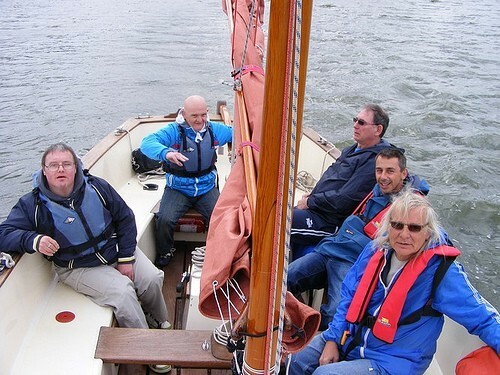 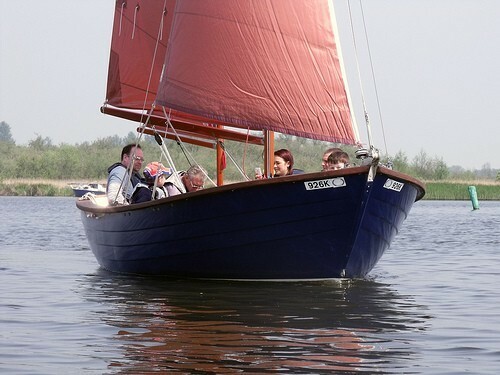 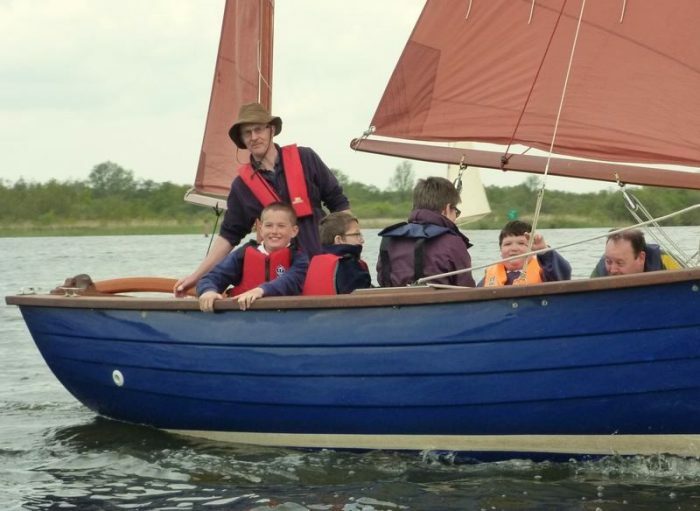 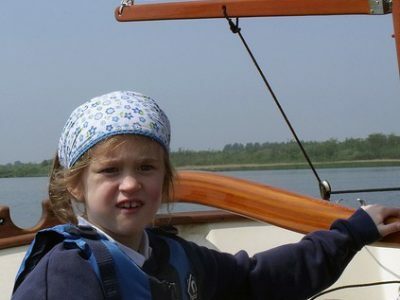 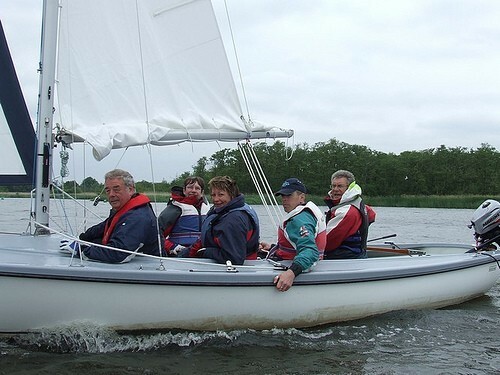 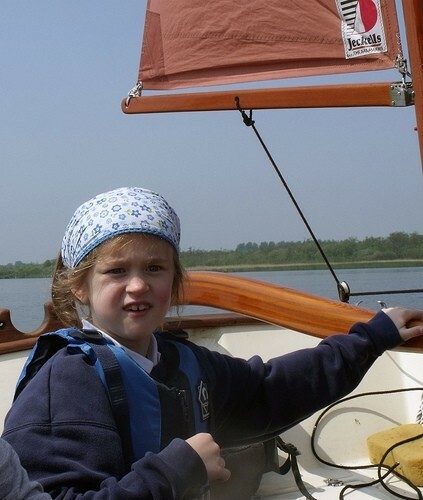 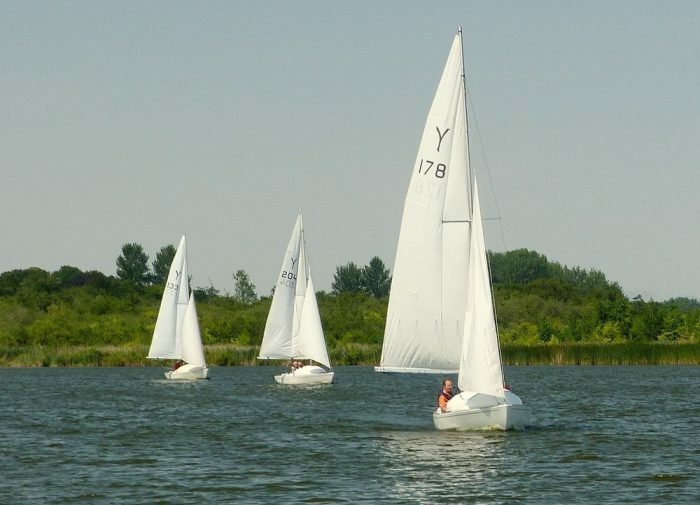 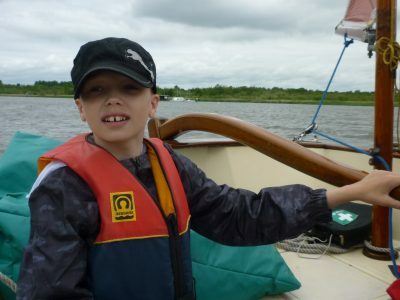 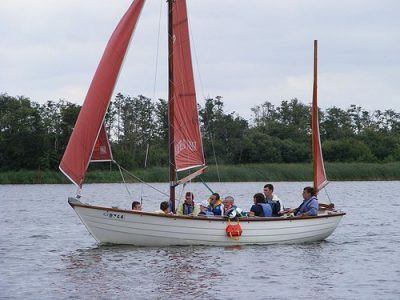 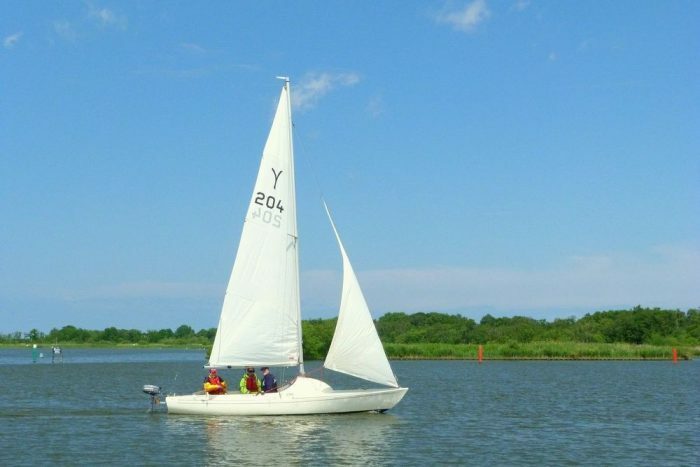 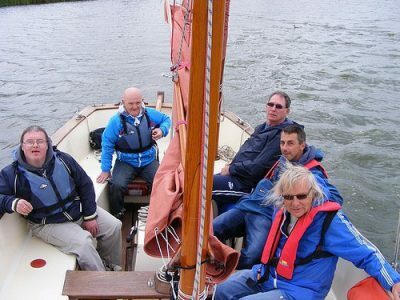 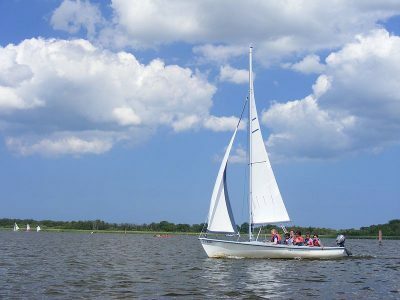 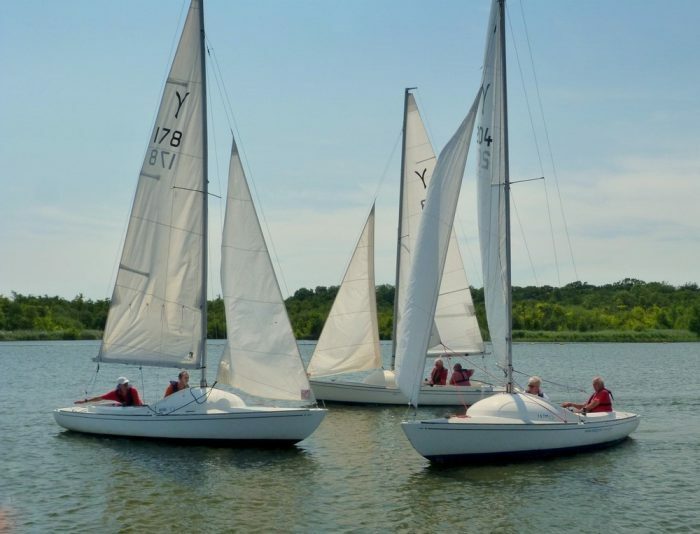 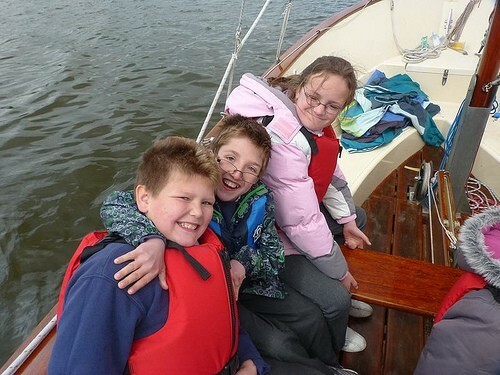 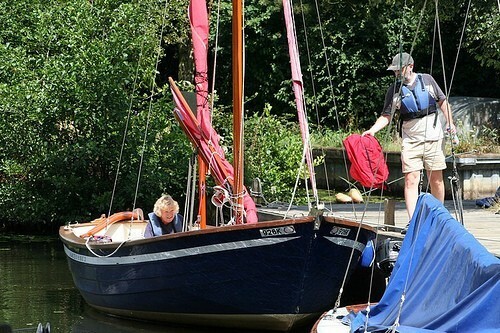 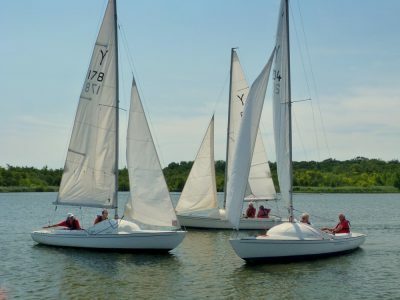 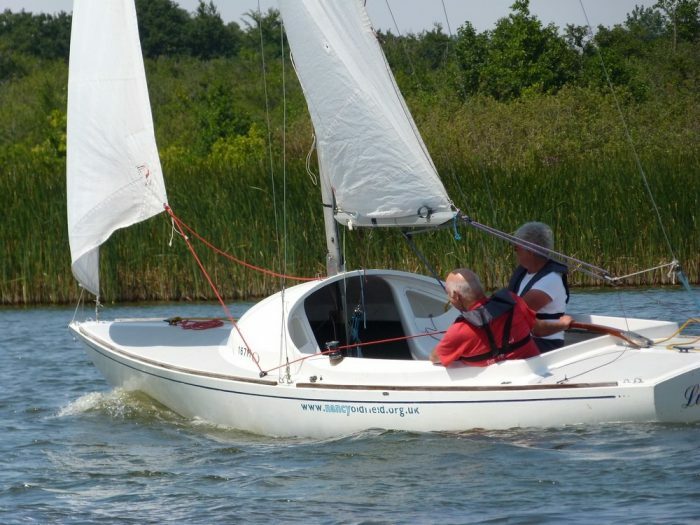 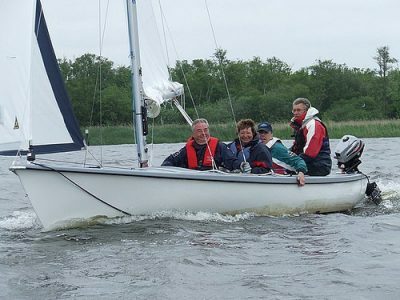 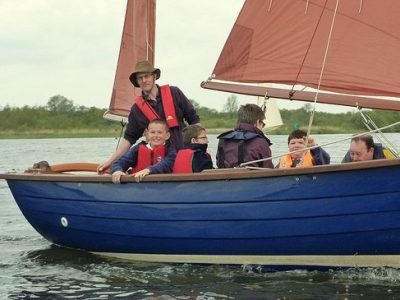 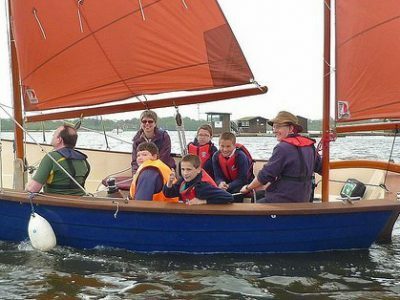 For general sailing, we have five Yeoman Keelboats, one of which has been adapted with wheel steering, a Pegasus 600 (a small sailing cruiser). 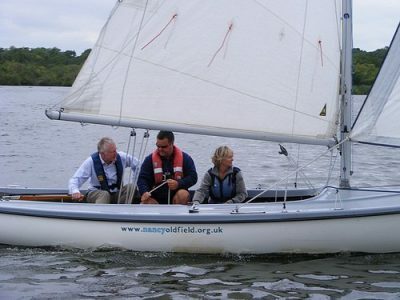 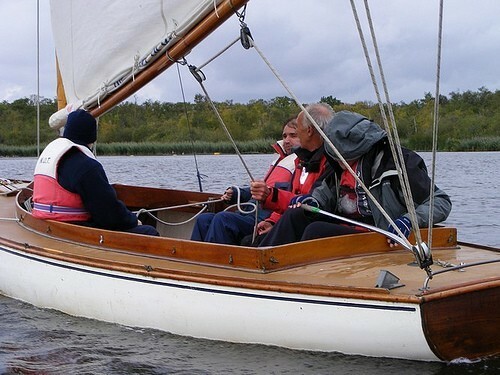 An RS Venture Keel with forward facing bucket seats, and joystick steering. 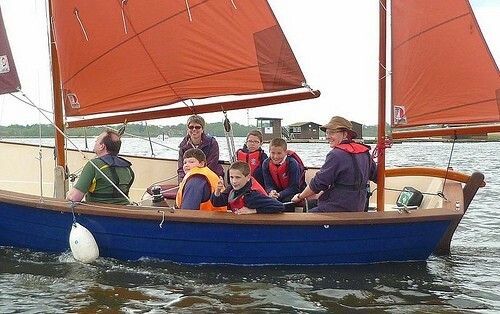 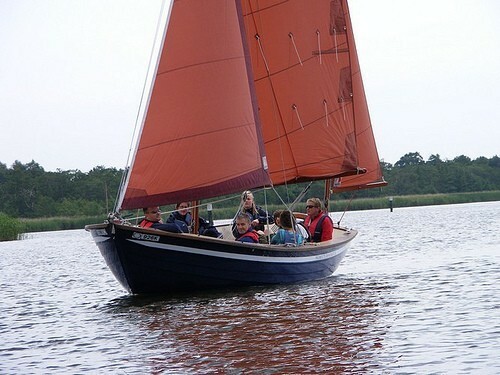 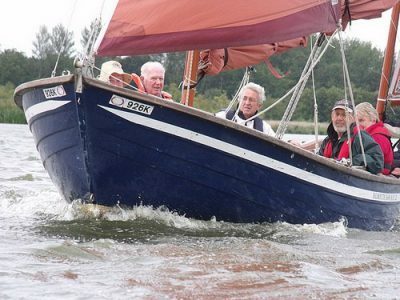 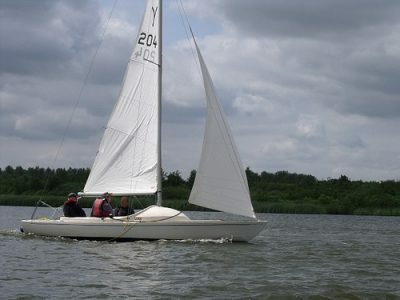 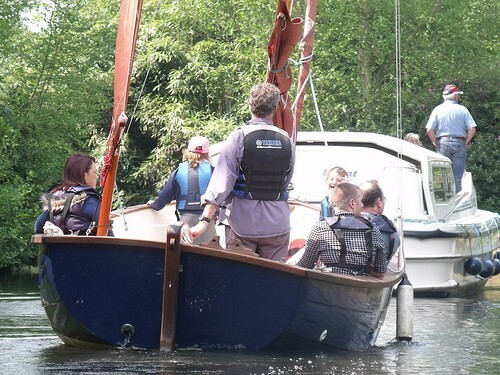 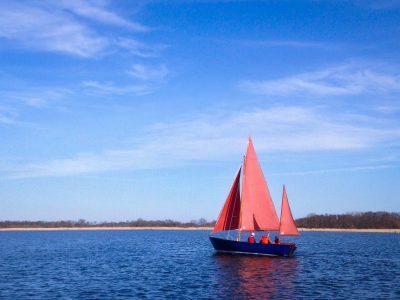 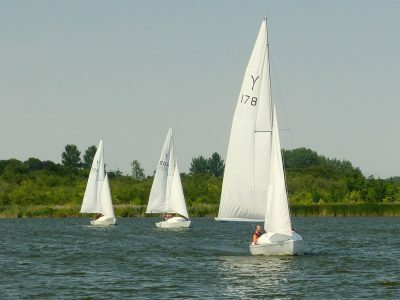 More experienced sailors may prefer the Dutch-designed Randmeer or the exciting and fast Yare and Bure One Design. 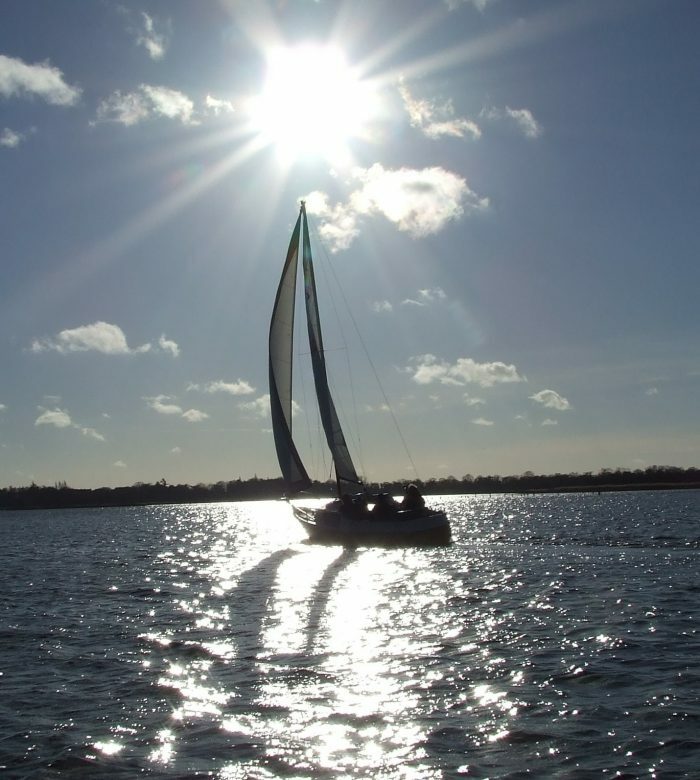 You can sail with us between April and the end of October. 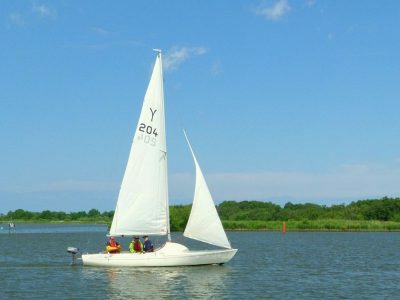 However, we do run Winter Sailing between November and March. 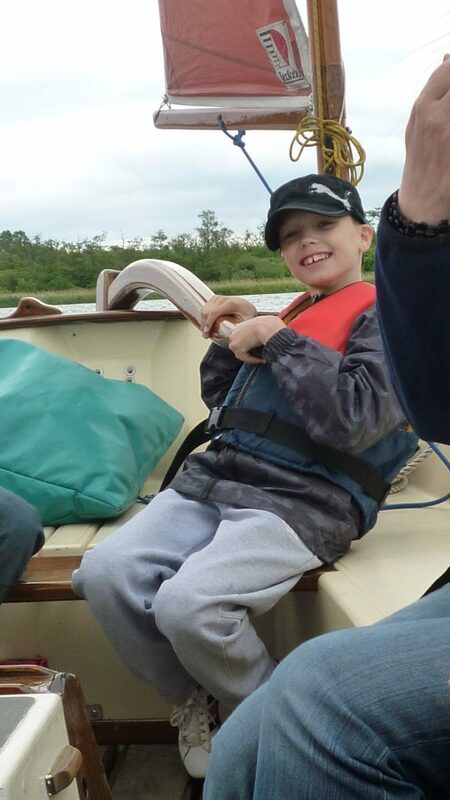 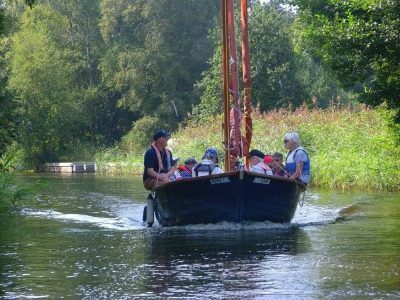 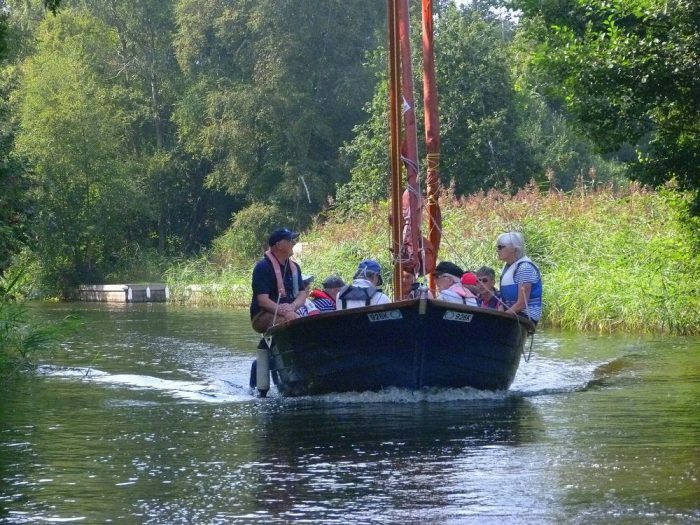 We do not have use of the Ark in the winter and the boats we have available are limited. 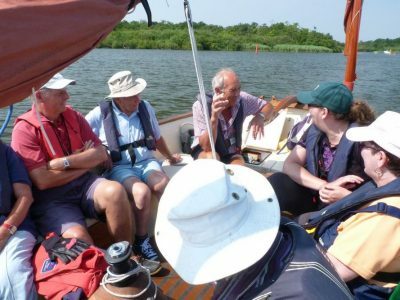 Bookings will be subject to staff / volunteer availability and weather conditions. If you would like to make a weekend booking, please contact us to discuss days and times available.